The Keurbooms River has meandered through Plettenberg Bay for many centuries, carving a watery pathway through the Wittedrift Valley to the sea. Occasionally, as on this notable night in 2007, the river rages and overflows, but mostly the Keurbooms is a serene, broad expanse perfect for kayaking and canoeing. Milkwood Manor is fortunate that this calm waterway flows past our front door, thus the Manor is an ideal spot to launch and beach canoes and kayaks. The sheltered coves on either side of the Manor offer an easy spot to get one’s “water legs” and get the hang of paddling before venturing further from the shore. 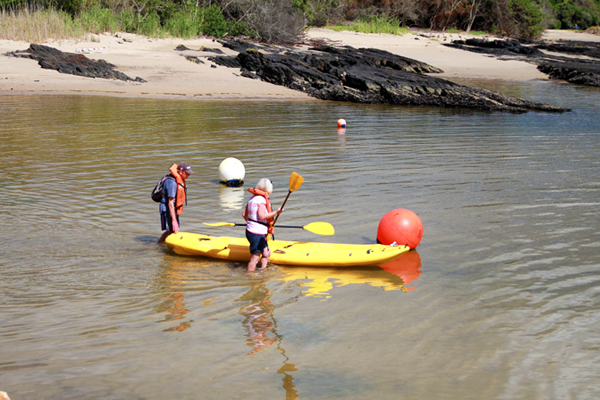 Our guests at Milkwood Manor have access to our kayaks to enjoy a spot of aquatic exploring. 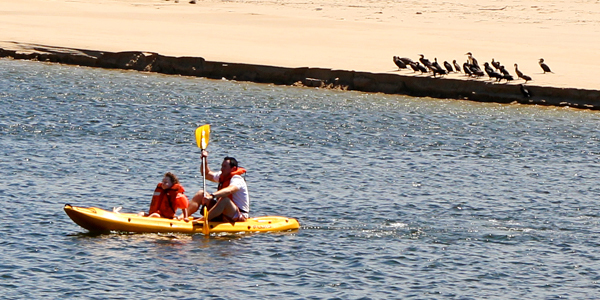 A popular route is to take the short paddle across the lagoon to the exclusive Keurbooms Beach, only accessible by boat in this part of Plettenberg Bay. This sandy beach is largely deserted, inhabited by sea birds, sand crabs and the dolphins that frollick in th waves. The solitude of this beach, with the magnificent backdrop of the Tsitsikamma Mountains, forms part of the iconic views of Milkwood Manor. Keurbooms Beach is also a good place to search for the elusive Pansy Shells. Another option is to pack a few snacks and paddle inland along the Keurbooms River, broad and majestic. Bird lovers will enjoy this as trip with Fish Eagles and the Knysna Loerie being inhabitants, fish occasionally break the calm surface – a magical way to get in touch with nature to the sound of a paddle slicing though the water. I am genuinely impressed with your way with words-at all and also with all the structure inside your blog site. Is the compensated subject matter or maybe have you alter the item on your own? In any event carry on the favorable top quality composing, it’s strange to look a great web site like this one nowadays.